There are many causes of back pain, that is why it is always recommended to seek advice from your health care professional. We will discuss common sources of low back pain that effect so many. The lowest part of the spinal column is called the lumbar spine, this is your lower back which is made up of 5 spinal bones called vertebrae. At the bottom or base of the lumbar spine is the sacrum that connects to the pelvis. Rarely, x-rays may show an extra lumbar vertebra (spinal bone) that really is one of the bones of the sacrum that did not fuse. 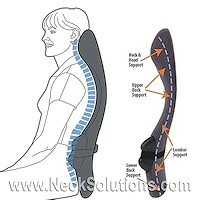 While this can cause some issues with back pain, it is not a serious finding and poses no danger. The arch in the small of your lower back is due to the shape of the spinal bones, which forms a backward facing “C” is called a lordotic curve. This is similar to the neck or cervical spine and opposite to the thoracic spine, which is your mid and upper back. Loss of the normal lordotic curve in the low back can be from muscle spasm or related to degeneration or posture issues. The lower back is particularly vulnerable to stress because it connects with the pelvis. 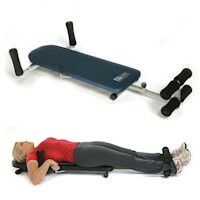 This forms your center of gravity, where much of the body motion takes place and bears alot of weight. 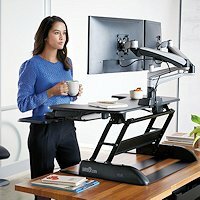 This combination of weight bearing with motion makes the lower back at risk for too much stress from lifting, bending and twisting, as well as constant pressure from long periods of sitting and poor posture. Either from from long exposures to mild stresses or one big overload, damage can result to the structures of the lumbar spine causing pain and a decreased ability to function normally. The lumbar spine is made up of bones (vertebrae) which are stacked on each other with a disc between each one which helps ease pressure as well as keeping bones at a proper distance to prevent bones touching each other and free nerves of any pressure. The bones attach to each other by ligaments and muscles are connected to the bones by tendons. Ligaments connect bones to bones; tendons connect muscles to bones. There are also tendons that fasten muscles to the vertebrae. The bones also have joints, similar in function to the elbow or knee. These are the facet joints and help the bones glide during motion. In the center of the bones, there is a opening which forms a tube for the spinal cord, and in the lumbar spine, nerves come off the spinal cord before going out through the bones. The bundle of these nerves in the lumbar spinal canal or tube are called the cauda equina, or horse tail. Nerves that come off the spinal cord have roots that exit through openings between the bones called foramina. The discs between each bone (intervertebral discs) are round structures that function as cushioning and provide motion between the bones. A soft center portion called the nucleus and a tougher outer portion called the annulus, a ligament which helps protect the inner portion of the disc. 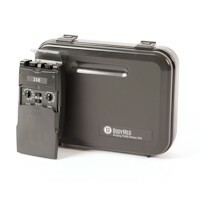 The soft nucleus portion serves as a shock absorber and a ball bearing for motion. 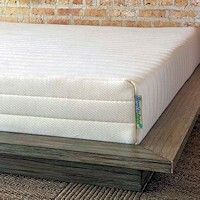 The nucleus contains large amounts of water and acts like a water bed. 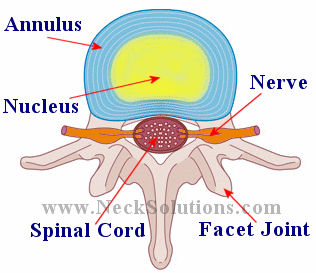 The facet joints meet between each bone on either side, so there are 2 facet joints between each vertebra. They overlap, forming a joint between 2 bones, allowing spinal flexibility and smooth motion. They are covered with a spongy, slippery material called articular cartilage that prevents friction during gliding motion. The facet joints are surrounded by a joint capsule, which is a water tight covering of ligaments and tendons, which keep the two joints in place. The joint capsule contains fluid called synovial fluid to lubricate the joints, decreasing friction, similar to oil lubricating an engine. Because the foramen between each bone forms an opening for the nerve, they are called neural foramen. This is where the nerve goes through the bone to parts of your body. The part of the nerve that goes through the bone is called the nerve root. 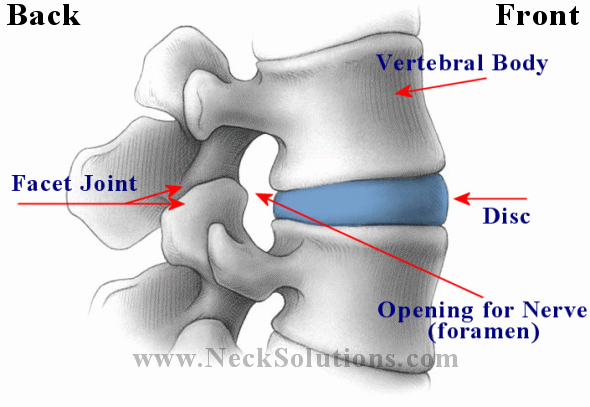 Each lumbar vertebra has 2 neural foramen, one on either side. This is the way the brain communicates to the rest of the body, through these nerves. The signals they transmit allows the body to function properly. The spinal cord is made up of millions of nerves which go through the center tube in the bones called the spinal canal. It starts at the brain and goes to the bottom of the first lumbar spine vertebra, where it then branches into the cauda equina (bundle of nerves resembling a horses tail), before going through the neural foramen of the bones, where it forms the nerve roots. The spinal cord has a membrane over it for protection called the dura mater or dural sac, which is a water tight covering for spinal cord and nerves. The dura mater contains spinal fluid which bathes the cord and nerves. The lumbar spinal nerves go to the legs, bladder and bowel. They control muscles, organs and sending signals back to the brain, control sensations like numbness, tingling and pain. Muscles along the spine are called paraspinal muscles and they provide motion as well as support for the lumbar spine. 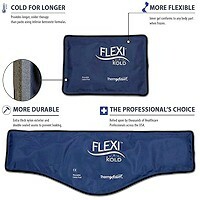 So, the joints allow flexibility, while muscles provide mobility. Close to the lumbar spine, there are many small muscles to control smaller motions between the bones, larger ones to control motion, and yet larger muscles that connect the spine to other parts of the body. A muscle, when injured is called a strain. Muscles can go into spasms. A muscle goes into spasm when it tightens up and does not relax. This is a reflex muscle contraction that is not under your control. Although painful, they can help protect discs, nerves, ligaments or other muscles of the lumbar spine. 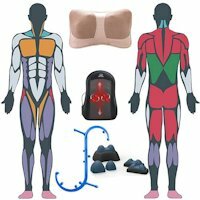 The pain of a back muscle spasm can produce a burning sensation from continuous contraction, causing narrowing of the blood vessels and the build up of lactic acid, a chemical from over-contraction of muscles, like muscle soreness from a strenuous workout. As the spasm eases, fresh supply of blood removes the lactic acid. Compressive pain results from irritation or pressure on the nerves or spinal cord. In a disc herniation, the herniation can press on a nerve causing weakness of the muscles, tingling, numbness and pain from the nerve being pinched. Another type of pain involving the mechanics of the lumbar spine, like inflammation from an injured muscle, ligaments, joint or disc is called mechanical pain and hurts the more you use it. Mechanical and compressive pain from the lumbar spine can help determine what structures are involved, but it is possible to have both at the same time. Arthritis of the spine indicates joint inflammation and can produce a mechanical back pain. However, degeneration may result in bone spurs and narrowing of the disc and openings for nerves that can result in compressive pain as well. In the lumbar spine, the main cause of arthritis is a wear and tear or overuse type called osteoarthritis. 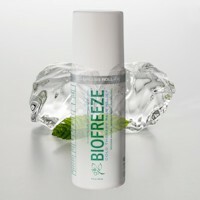 It is also related to genetics and injuries, causing inflammation and destruction of the joints. Osteoarthritis is breakdown of the cartilage in the joint, which provides cushioning and smooth motion. The damaged cartilage is unable to heal itself, thus progressively deteriorating, decreasing flexibility and increasing the risk of further injury. Over a period of time, cartilage can completely wear away, allowing the bone surfaces to rub against each other, wearing away the joint and often forming bone spurs to try stabilizing the joints. Facet joints can be the cause of back pain. As the spine degenerates from arthritis, the facet joints often become involved. The pain from a problem with the facet joints are sometimes called facet joint syndrome. 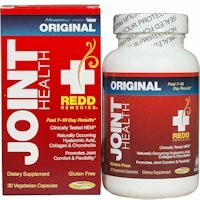 It can be caused by degeneration, arthritis or injury, which overload the joints. Because the facet joints are towards the back of the lumbar spine, pain from a facet joint syndrome may be made worse when bending backward (extension) or with twisting (rotation). Often, overloading of the facet joints is due to disc degeneration. When the discs degenerate, the space it holds up narrows and effects the alignment of the facet joints. This places excessive loading on the joints, damaging the protective cartilage and joint fluid that lubricates the joints. Bone spurs often form around the joint and can not only affect the joint, but can narrow the neural foramen opening, causing a pinching of the nerve root. The spurs may also grow into the spinal canal called spinal stenosis and may effect the nerves or the dural covering of the spinal cord. Radiculopathy is a medical term for pathology of the nerve root, often called a pinched nerve in the lumbar spine. Radiculopathy happens to a nerve that is irritated by a bone spur or herniated disc pressing or rubbing the nerve. Sometimes, when the inner part of the disc (nucleus) herniates outside the disc (annulus), called an extrusion or extruded disc, there can be a chemical reaction that causes pain and inflammation of the nerve, felt as radiculopathy. Irritation or pressure on a nerve can cause numbness, tingling and pain in the area the nerve supplies sensation, like in pain of sciatica. So, even though the problem is in the lumbar spine, radiculopathy can make it feel like tingling in the foot. The muscles supplied by the nerve may be weak, reflexes associated with the nerve may be decreased. So, pain and other sensory location, reflexes and muscle weakness can help a doctor determine which nerve is involved from lumbar radiculopathy. Radiculopathy causes include: bone spurs, disc herniations, possibly fractures or tumors. The sciatic nerve is the largest nerve in the body and is made from one or more nerves that form the sciatic nerve that runs down the leg. Sciatica is often a radiculopathy that pinches or irritates the nerve. It has a distinct name due to it being a common form of radiculopathy. 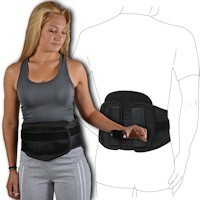 It can also produce back pain in the lumbar spine at the site of irritation. So, sciatica is a term that describes the pain from the nerve. The nerve starts in the back, goes into the hip, back of the thigh, and may even go into the bottom leg and foot. Narrowing of the tube formed by holes in the bones of spine is called spinal stenosis. Stenosis means narrowing, and this can happen to any opening. When it is from the tube that the spinal cord runs through, it is often called central stenosis, as opposed to foraminal stenosis. It is often found in the lower back and can be the entire lumbar spine or just a portion or segment. The canal can be narrowed by things like degeneration, including arthritis, bone spurs and thickening of ligaments, small bones, herniated discs, infections, trauma and tumors. All of these can push into the spinal canal, making less room in the tube. This central spinal stenosis can irritate nerves, causing pain and dysfunction. Oxygen and blood supply can also be reduced, causing numbness and pain. Additional symptoms may include pressure from the spinal cord called myelopathy. This can cause problems with walking, a heavy feeling and/or weakness in the legs, and pain during walking or standing for extended periods. The symptoms may be alleviated with rest. Pain from the disc itself is often called discogenic pain and results from damage to the disc. 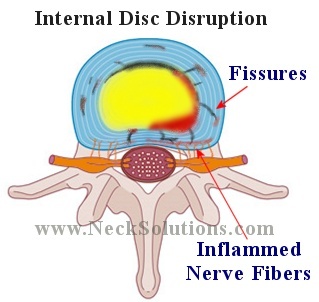 Degeneration of the disc can be painful and the outer part of the disc can tear, causing painful movement of the spine located in the lower back, but may also radiate into the hip or thigh. A bulging disc is a common finding on an MRI and are not a reason to panic. They can be seen in people without any pain and can be part of a normal, age related degenerative process. Bulging discs become problematic when the bulge is enough to cause stenosis of the canal or foramen. A bulging disc, in combination with bone spurs may be enough to cause symptoms. Sometimes, an injury can cause a tear in the outer annulus of the disc, allowing a bulge of the inner nucleus to push the annulus out. This can cause discogenic as well as radiculopathy symptoms. When the outer annulus of the disc is torn or damaged, the inner nucleus herniates from its location towards the outside of the disc. If the outer annulus of the disc tears near the side of the spinal canal, the nucleus can herniate into the spinal canal, causing pressure on the cord as well as the nerve roots. The nucleus is meant to be inside the disc, therefore, when it herniates outside the disc, a chemical reaction can cause a great deal of inflammation to the nerve, which may be very painful. Therefore, controlling inflammation is very important with the initial stages of a herniated disc in order to control pain. Both inflammation and pressure on the nerve from a lumbar herniated disc can effect the function of the nerve, resulting in acute pain, numbness and weakness of the nerve and the structures it supplies. 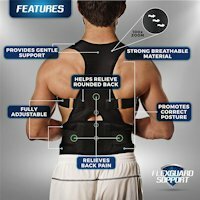 Herniated discs are often located in the lumbar spine due to the loads it must support. A herniated lumbar spine disc frequently produces sciatica, with symptoms of low back pain and tingling/numbness radiating into the back thigh, side of the leg, and even the foot. Depending on conditions, leg pain may be the primary symptom. Because the disc is most pressurized in the morning, it is wise to wait about an hour before doing any heavy lifting to avoid the risk of disc herniation. A herniated disc does not mean surgery. Most are treated with conservative therapies and some will heal on its own. However, if the pain and function are getting worse, surgery may be indicated. Sometimes herniated discs do not heal and are complicated with Modic degenerative spinal changes, some of which are related to bacterial infections producing back pain, making them resistant to treatments and producing a long lasting back pain. Rarely, a lumbar spine herniated disc may be large enough to place significant pressure on the spinal cord, causing a medical emergency called cauda equina syndrome. This poses the risk of paralysis of muscles controlling the bladder and bowels.